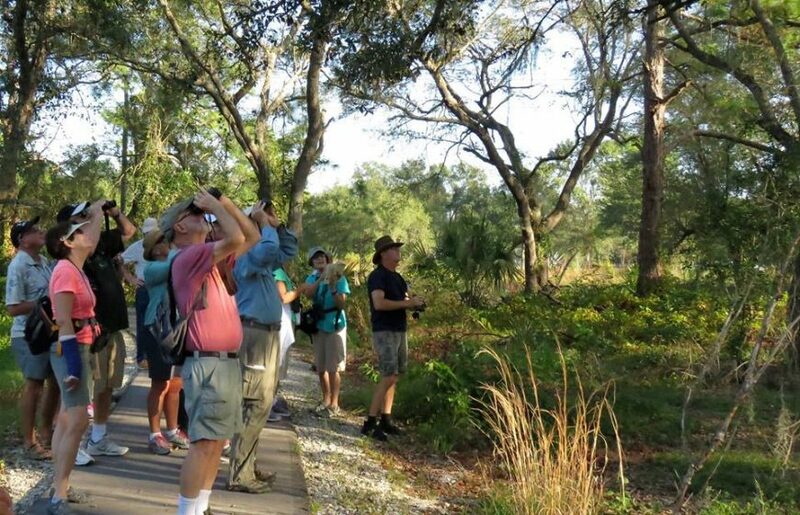 We had a wonderful turn out for our Caloosahatchee Creeks Preserve East followed by a tour of Powell Creek Preserve. 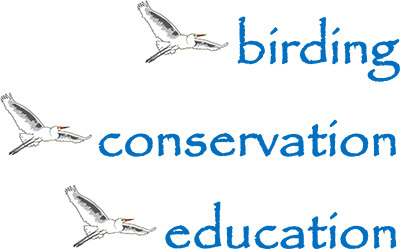 We had first time birders, experts and everything in between. Unfortunately, it was not a very birdy day. A big lack of Warblers, But, I think everybody got to see the Red-headed Woodpeckers, which is always a thrill, and the Yellow-bellied Sapsuckers. There were a lot of people for the narrow boardwalk at Caloosahatchee Creek East., but everybody trooped along, and seemed to have a good time, even though it didn’t feel like November weather. And everybody that came to Powell Creek Preserve gets a gold star for braving the sunny, hot trail. Thank you everybody for coming to support the club and helping me to ID some of the birds, & I hope to see you again next year. Hopefully I didn’t miss anything. Cat bird, Mockingbird, Blue Jays, Phoebe, Yellow-bellied Sapsuckers, Pileated Woodpecker, Red-headed Woodpeckers, Northern Flicker, Downey Woodpecker, House & Carolina Wren, Boat-tailed & Common Grackles, E. Starlings, Palm Warbler, Blue-gray Gnatcatchers, Common Yellow-throated Warbler, Prairie Warbler, Black-throated Green Warbler, Cardinal, Red-tailed Hawk, Kestrel, Morning Dove, Black &Turkey Vultures, White Ibis, Belted Kingfisher, Little Blue Heron, Wood Stork. Cormorant,Tri-colored Heron, Mottled Ducks, Anhinga, Little Blue Heron, Common Gallinule, Blue- gray Gnatcatcher, Palm Warbler, Yellow-rumped Warbler, Morning Dove, Blue Jay, Phoebe, Common Grackle, Red-bellied Woodpecker, Cardinal, Kestrel, Unknown Hawk, Red-tailed hawk, Black & Turkey Vulture.